We were attracted by the light and sound when we passed by George Town on our way to Pulau Tikus. We decided to pull over and join the party. 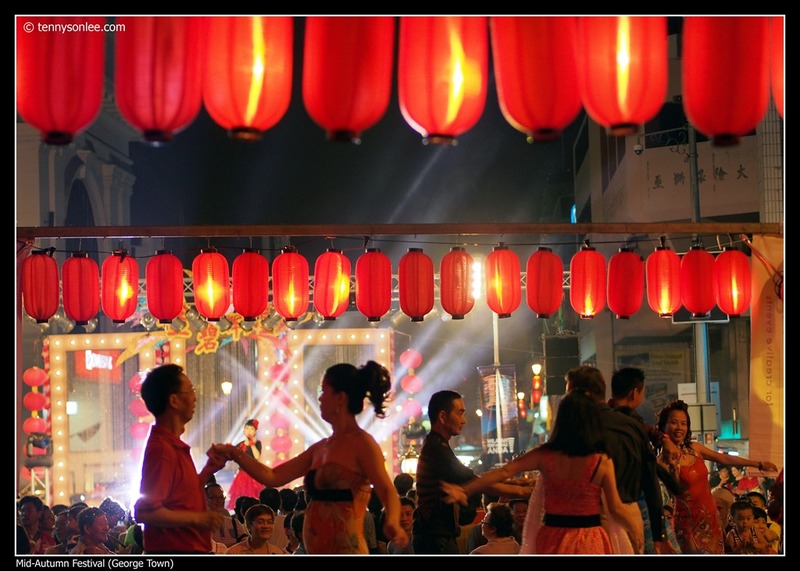 It was the mid-autumn festival street party. 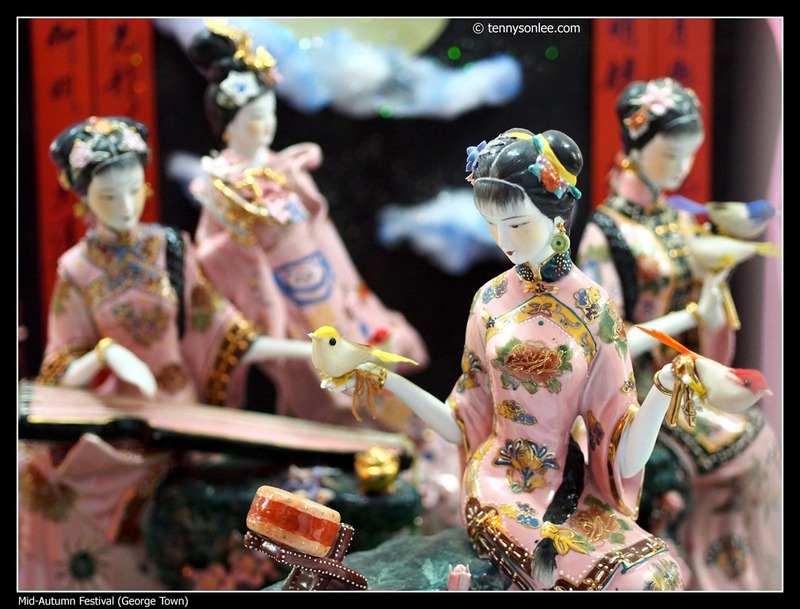 I really enjoyed the showcase of the moon cake competition. 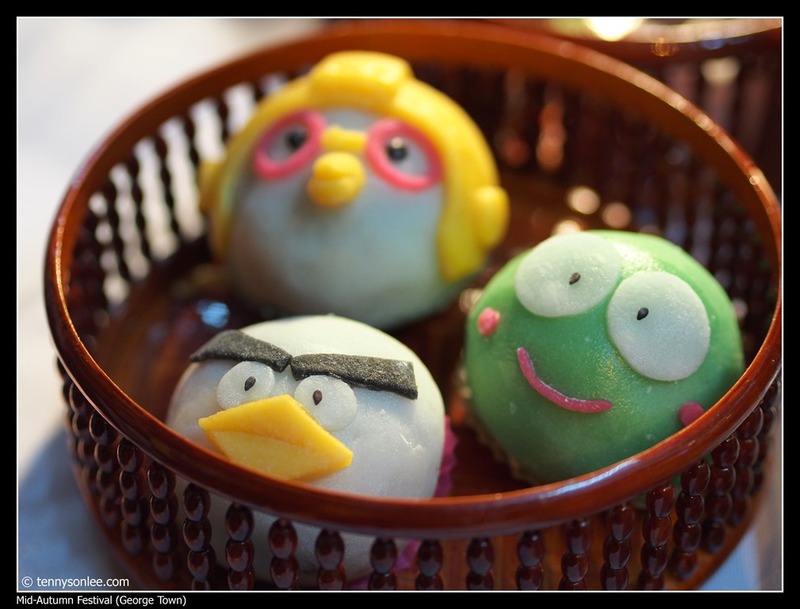 There were minions and angry bird moon cakes. 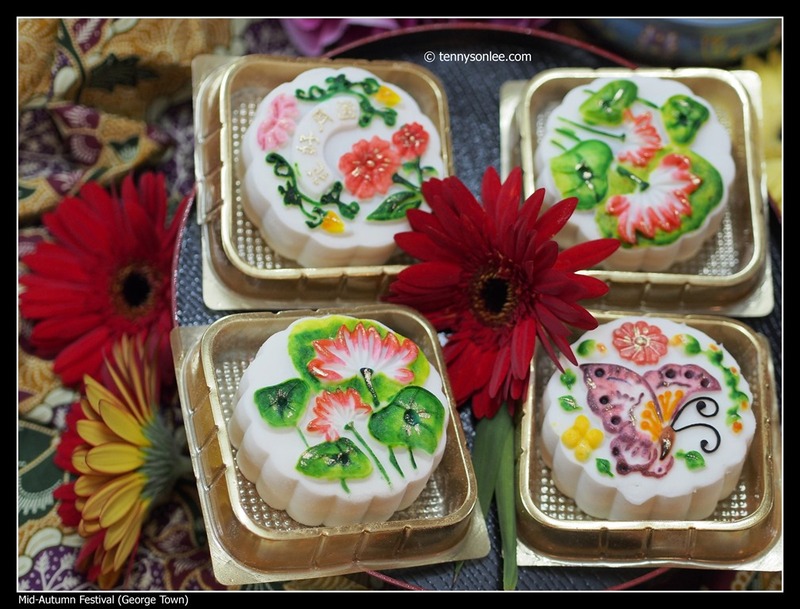 Most of them were more like a work of art than edible moon cake. 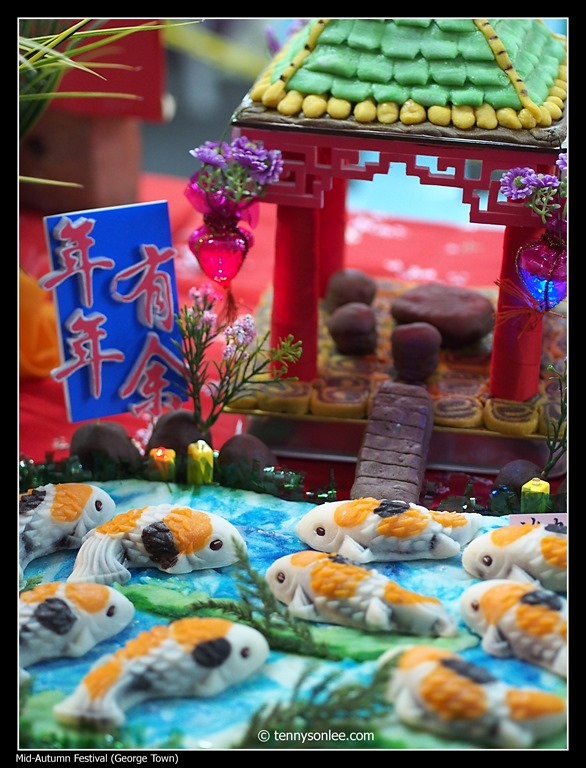 The gazebo and fish in the pond were moon cakes. 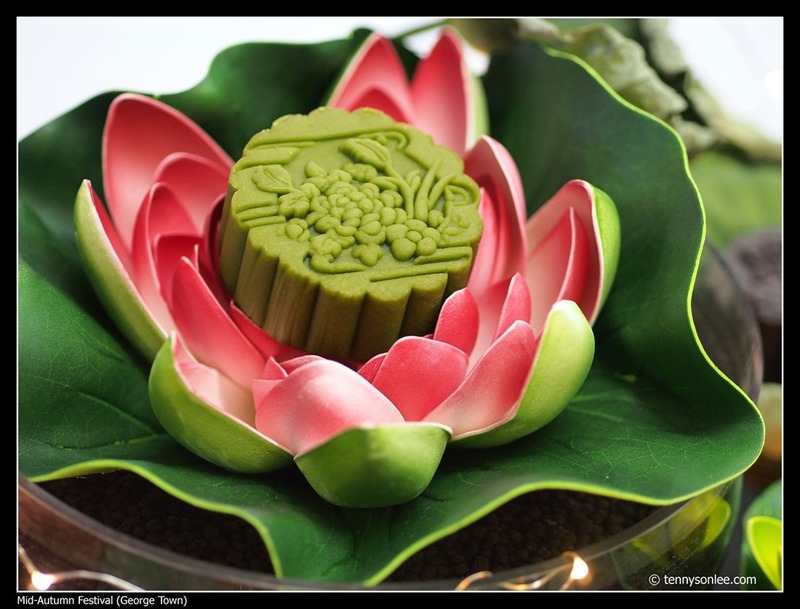 The flower was also moon cake. There was also peanut and many other forms and shapes. 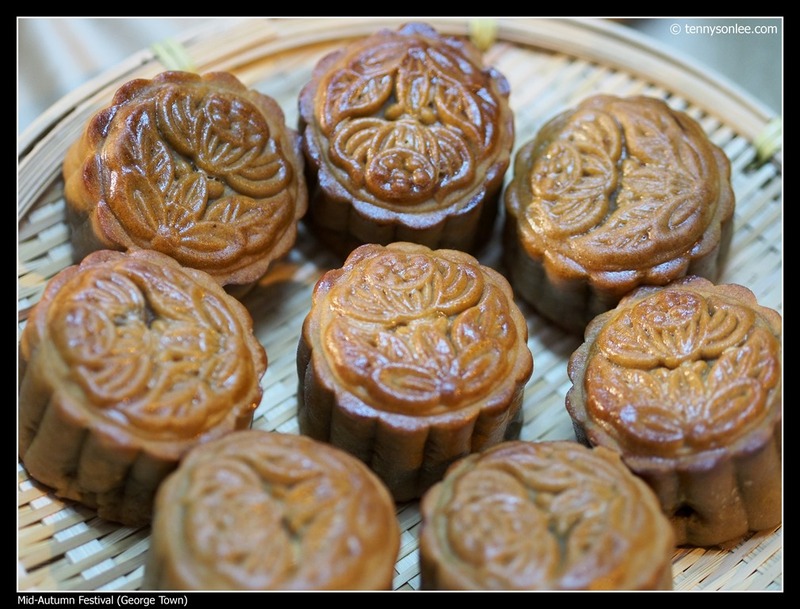 Some participants still produce the traditional moon cakes, but in different sizes. The decorations supporting the display were equally impressive. There was one participant used dry ice to create the misty feel. 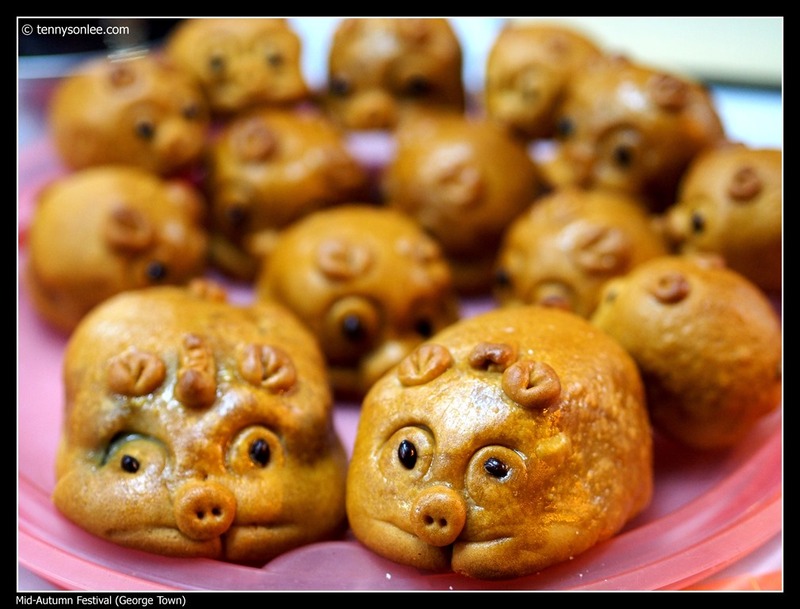 The piggy bread is another common pastry that accompanies moon cake. I also saw pastry in the form of crab and porcupine. 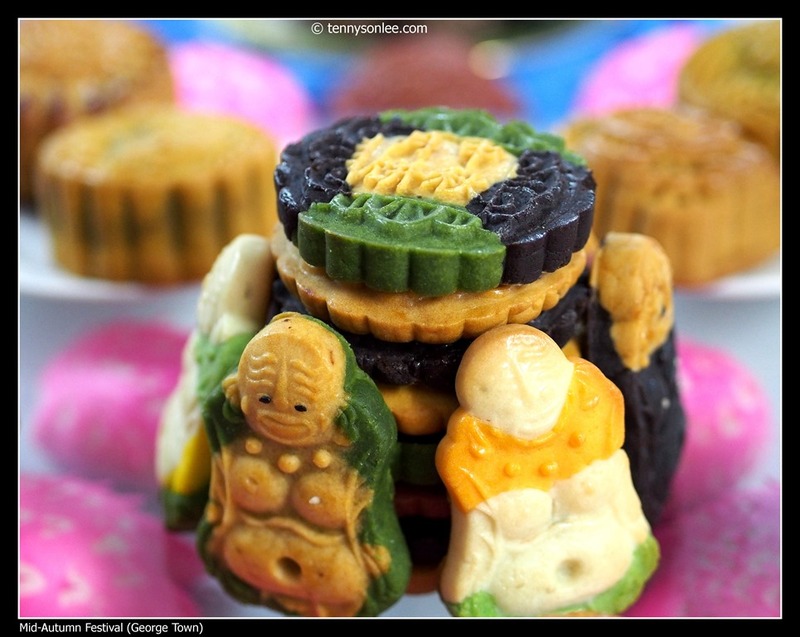 Mostly important aspect of a good moon cake is the freshness and quality of the ingredients. My favourite is pure lotus paste in pandan flavour with salted egg yolk. 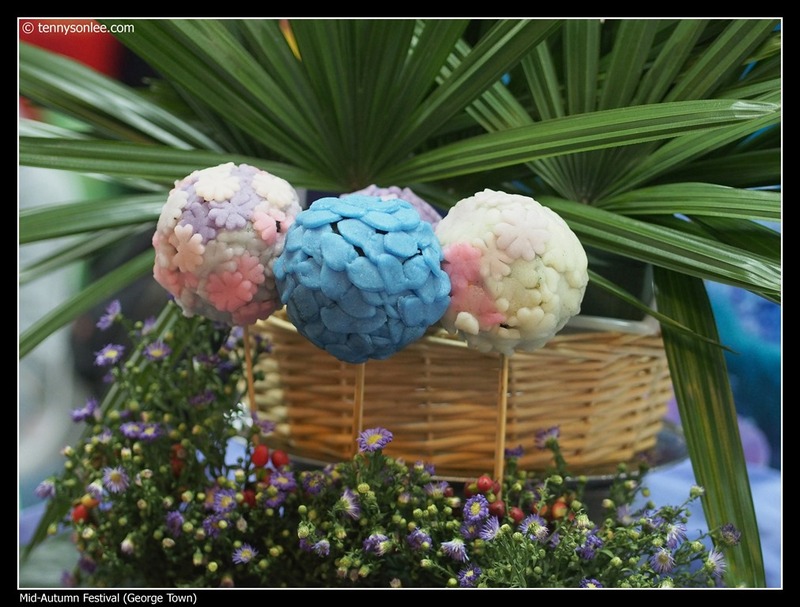 Riddle solving is another core activity for mid-autumn fun fair. 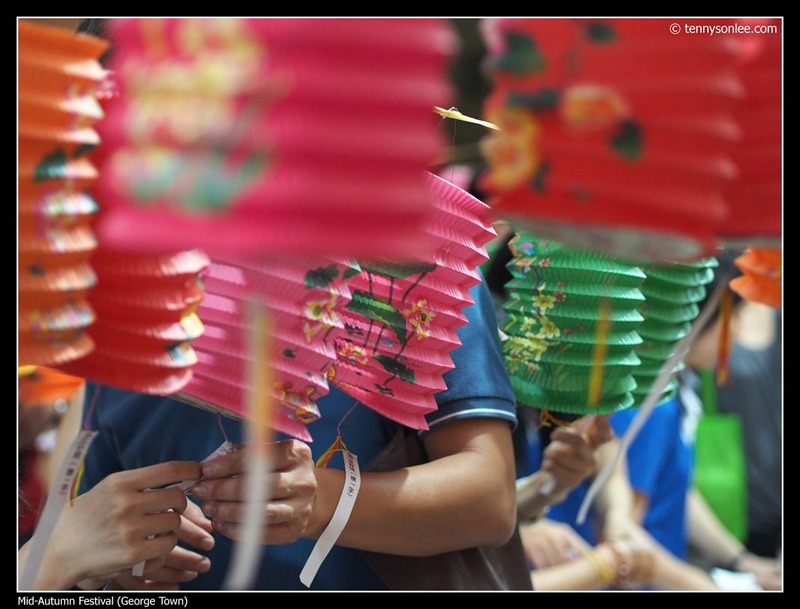 It has been a long day but I am glad we joined the mid-autumn festival in George Town. 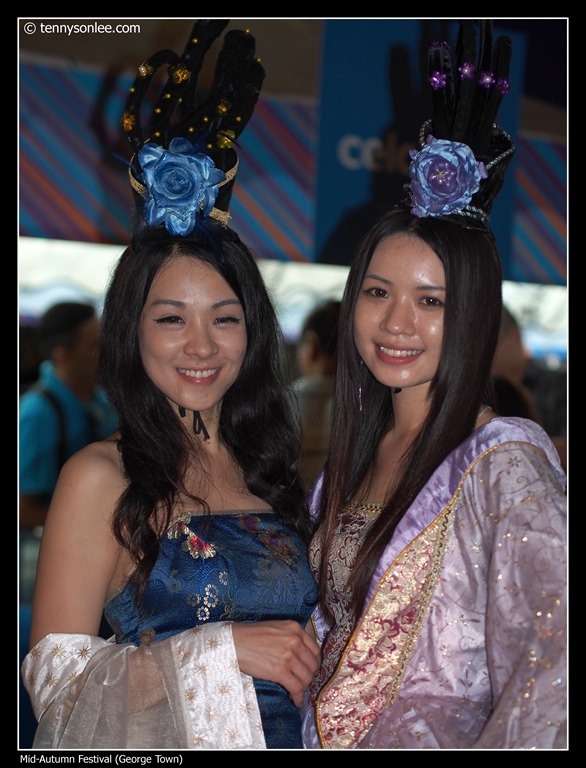 The event was better organized than the similar event I visited in Kuala Lumpur. 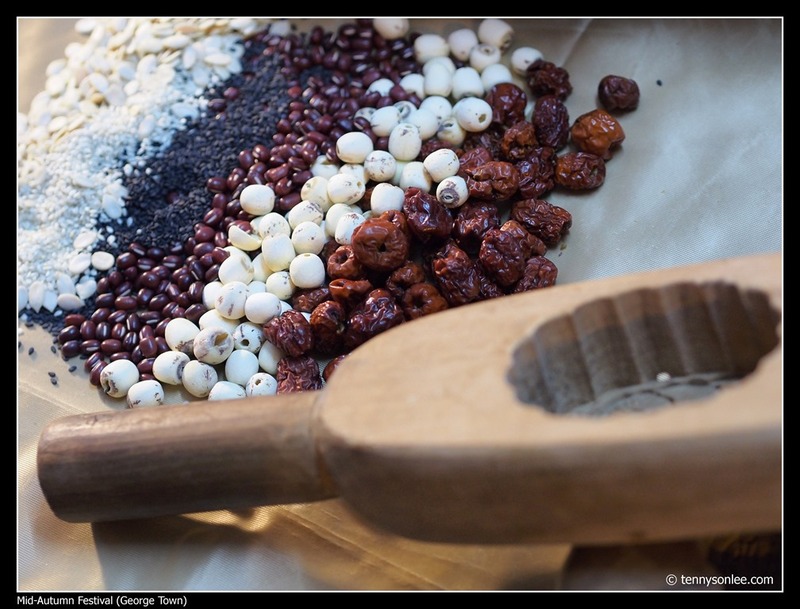 This entry was posted on September 15, 2013 by Tennyson. 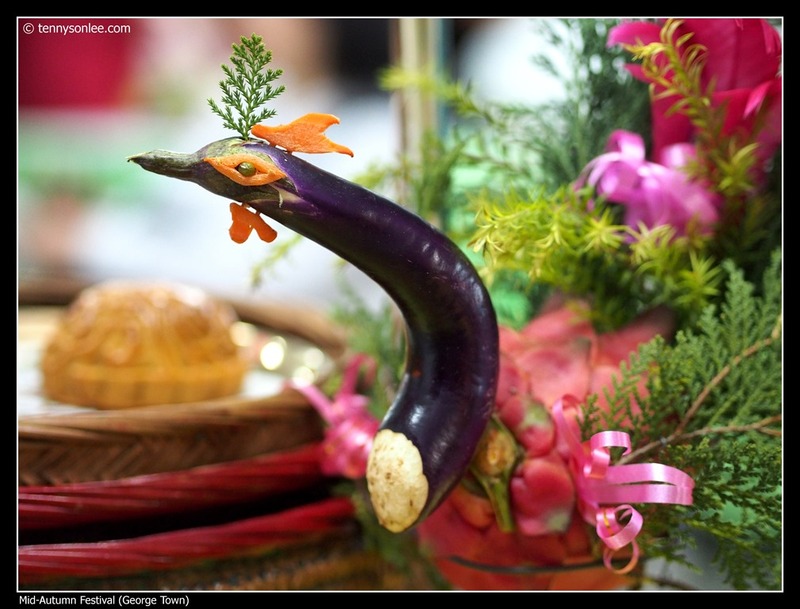 It was filed under Culture and Religion, Festival, Malaysia, Penang and was tagged with George town, Mid-Autumn Festival.